Oh Albertson’s, how I love you…. Another week, another set of doublers, another happy shopping trip for me. There were some HOT deals this week with catalinas. It really seems like the catalinas come and go alot. When they are in, they are HOT! I discovered that one of the stores that is a little further away from me seems to have less coupon shoppers than my 2 main stores, they actually had stock in of a couple of the things I was looking for! I have hopes that next week there will be doublers and that the stock of Nature’s Valley Granola Thins will be in so I can score that deal. Their catalinas roll for a few more days so maybe I can squeak that deal out still. Ok, so that seems like a big out of pocket, compared to my normal. But just LOOK at what I got! 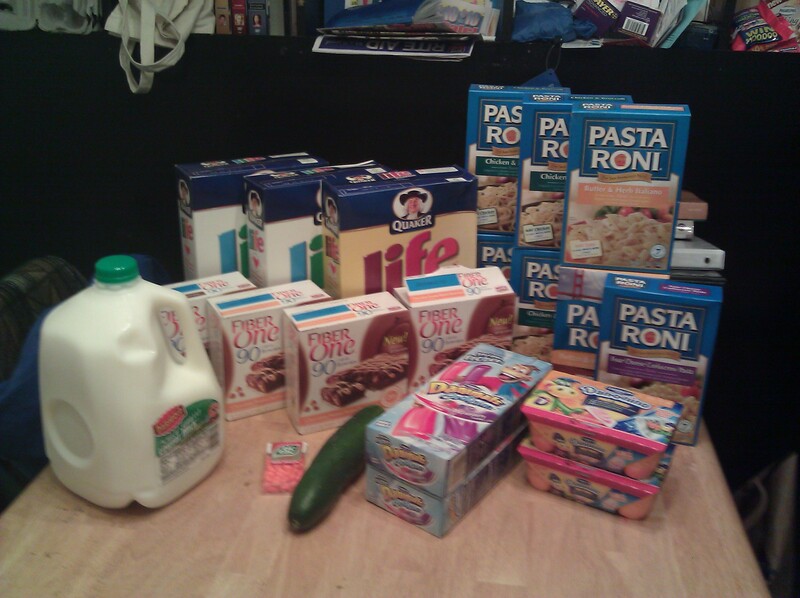 The majority of that was the cost for the Pasta-roni ($5.50) and the Minute Maid lemonade ($8). Final Price: $2.25 moneymaker + free milk! So while it is no longer a money maker and I lose out on the free milk, it’s still 4 free boxes! I have to doublecheck what dates those catalinas run through so I make sure i get out to the store in time to pick them up. 🙂 Happy hunting everyone! It was actually a pretty quick trip, since I had only just got back into town and it was the last day of the sales week. I didn’t have much on my list and actually figured that everything I wanted for the Oscar Mayer deal would be out of stock. But just look what I was able to get!!! All this for $9.96!!!!! I mean seriously, does it get much better than that? (NO!) 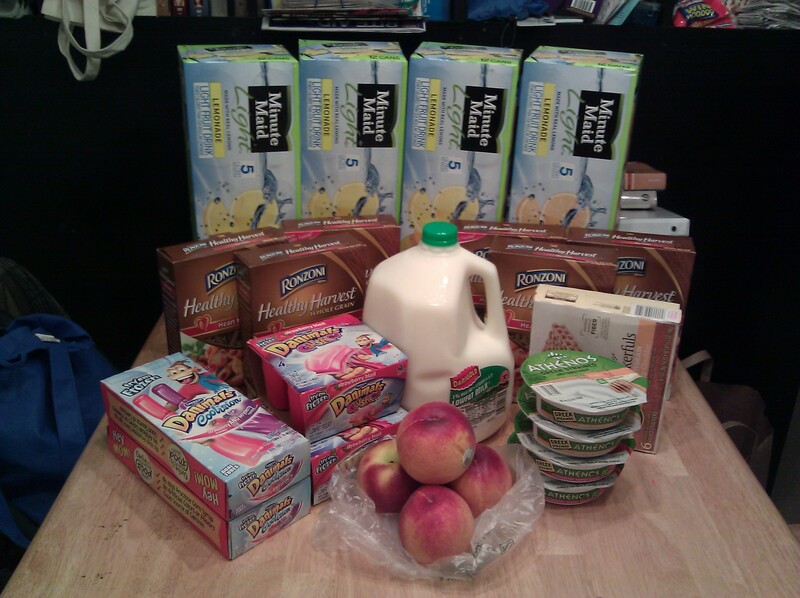 I tell you, these are the times when I really do feel like an Extreme Couponer. But one who is doing this realistically, with normal time investment, buying reasonable quantities. 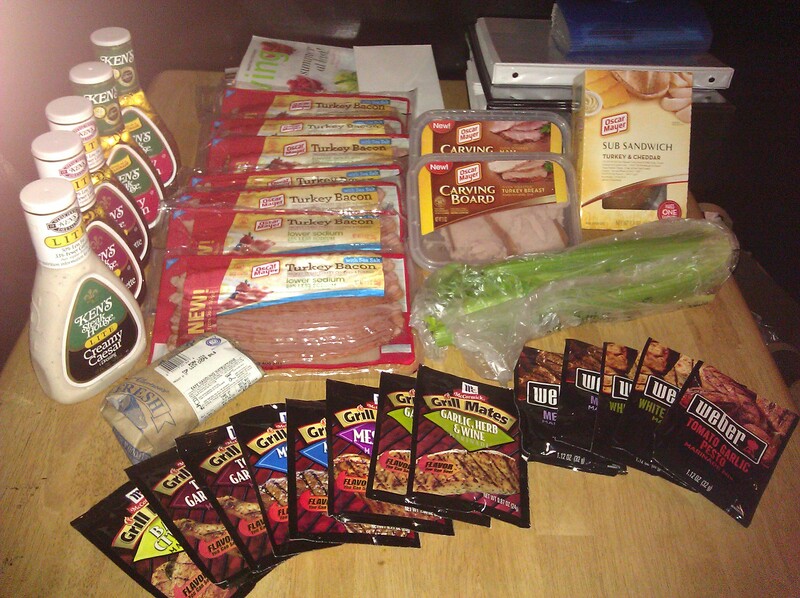 This is when I really feel like couponing is So Much Fun! Basically with coupons, doublers, and a couple bits of unexpected overage, the only items I paid anything for were the oscar mayer items. Which puts them at about $1 a piece. $1 for bacon & reallly awesome lunchmeat? Oh yeah!!! I couldn’t believe there was a whole shelf fully stocked of bacon. The truck must come on Mondays. Take care and happy couponing!